Looking to go fishing in Washington DC? The waters of the nation’s capital are home to more than 70 species of fish ranging from striped bass to sea lampreys. The District Department of the Environment (DDOE) monitors and manages the fish populations and works to enhance their habitats while providing fishing opportunities for Washington DC residents and visitors. 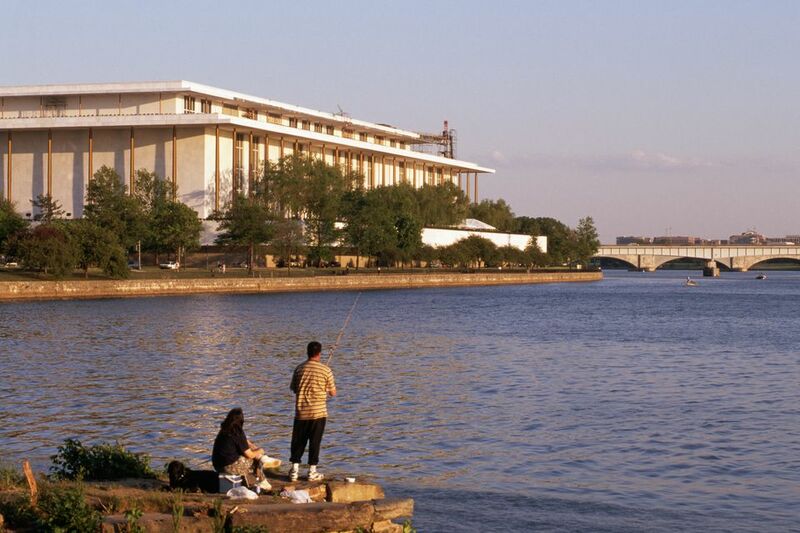 Here is information on licensing, regulations and places to fish in Washington DC. A fishing license is required for anyone over 16 years of age. Licenses are valid from January 1 to December 31 of the calendar year. As of December 1, 2009, the fees for the license are as follows: Resident $10, Nonresident 14-Day $6.50, 1 Year $13. The DDOE develops and enforces regulations in coordination with the District's Metropolitan Harbor Police and the Capital Park Police. A licensed angler must maintain possession of the license while fishing and shall display the license at all times. A person shall fish only with a rod, hook, and line, not to exceed three lines in number and not having more than two hooks to each line. Fishing for commercial purposes is prohibited. Limited consumption of fish caught in DC waters is advised. PCBs and other chemical contaminants have continued to be found in certain fish species caught in the Potomac and Anacostia rivers and their tributaries. The practice of catch and release is encouraged. Potomac River - The Potomac runs west of Washington DC and has many tributaries which provide a great opportunity for fishing. Fletchers Boat House, located between Chain and Key Bridges, is renowned as an outstanding fishing and boating area. Fishing gear and licenses are available onsite. Anacostia River – There are many opportunities for recreational fishing in the Anacostia Watershed. The DC Department of Health advises that persons do not eat the fish. Anacostia Park has a public boat launch and a marina. Fishing is a fun activity for all ages and a great way to spend time with family or friends.